The Oxford Area Recreation Authority (OARA) is a quasi-government entity made up of East Nottingham Township, West Nottingham Township, Elk Township, Lower Oxford, and Oxford Borough. Two appointed representatives from each township/borough make up a 10-person Board. The Authority was formed to serve our residents by fulfilling the needs of parks and recreation-active and passive. These needs are addressed in our recreation plan. The current property of OARA consists of 3 parcels (phases) of land. Phase 1 was concluded in 2018, and now consists of a modern baseball field (Shelton Field), multi-purpose field, walking trail, dog park, pavilion, playground, and picnic area. Phases 2 and 3 are now being planned for future active and passive recreation usage. All fields and the pavilion are available for rent by going to the OARA website. OARA is excited to offer various programs and events throughout the year to include the Haunted Park, Kids to Park, and Pitch, Hit, & Run. OARA has big plans for the future, so please stay tuned! The Recreation Plan element of the Open Space, Recreation & Environmental Resources Plan examines recreational opportunities available to East Nottingham Township residents. It recognizes at the outset that few, if any, recreation opportunities ever have been directly provided by the Township itself. Limited Township involvement has stemmed from overall low population density in East Nottingham and local perception of appropriate governmental roles. Nevertheless, East Nottingham Township residents avail themselves of a wide variety of recreational services available in southern Chester County and beyond. It is appropriate that the Township monitor ongoing recreational opportunities, assess unmet local recreational needs on a periodic basis, and reevaluate potential Township involvement. Open space and recreation lands and facilities can generally be classified as either "passive" or "active". Passive recreation areas are generally those areas focused on enjoyment of natural, scenic or historic resources. Structured recreational facilities are generally limited at passive sites, directed toward providing access or facilitating resource interpretation. Prevalent activities are those which can be undertaken on an individual or small group basis and require limited formal programming, such as hiking, fishing, bird-watching, and picnicking. In contrast, active recreation areas are usually focused on more structured or organized recreational activities such as team sports or those requiring significant structural development, such as swimming pools, tennis courts, or large-scale playground equipment. Many park and recreation facilities include areas for both active and passive recreational activities. As a tool to evaluate local recreational services, we have utilized standards developed for the Chester County Open Space and Recreation Study (CCOSRS), completed in 1982. These standards were based on standards originally provided by the National Recreation and Park Association (NRPA) and the Delaware Valley Regional Planning Commission. Recreational standards are most useful in terms of evaluating adequacy of active recreational facilities, frequently expressed in terms of number of facilities available to each 1,000 residents. Passive recreational areas are usually evaluated rather generally in terms of provision of so many acres of parkland per resident, although a threshold of 1,000 residents also often is used. In either case, this is an extremely large threshold in the context of planning for a total municipal population of only several thousand. Thus, population-based standards only can generate a gross order of magnitude of "need" when applied to relatively small populations. Regional parks are large scale park preserves serving an area greater even than Chester County. Because of their regional significance, such parks are usually provided by federal or state governments. They typically provide a variety of outdoor recreation opportunities -- both active and passive, particularly those requiring large land or water areas. Emphasis is often placed on recreation opportunities beyond the scope of those typically provided at local parks, including, for example, camping, boating and swimming. CCOSRS suggests that each regional park be at least 1,000 acres in land area. Across the region, there should be twenty acres of regional parkland available for each 1,000 persons, with a maximum service area radius of thirty miles. These parks fill the gap between regional parks and local parks. Ideally, they provide relatively large tracts of public open space within a short drive of home; fifteen minutes is considered a reasonable threshold. Serving less that an entire county, subregional parks are beyond the scope of municipal provision. They are likely to be provided by county government, but could be provided jointly by more than one municipality. Subregional parks should be geared to regular use on weekdays as well as weekends. They should offer the trails, fields, courts, water recreation areas, picnic areas, and woodlands that local parks can only partially provide. CCOSRS suggests 8.5 acres of subregional parkland per 1,000 population with each regional park comprising at least 100 acres and having a service area radius of 7.5 miles. Community park lands and facilities are usually provided by municipal government to serve a variety of local outdoor recreation needs on a regular basis, both active and passive, group and individual. In many municipalities, a system of community and neighborhood parks and/or free-standing recreation facilities might collectively meet local needs in a variety of settings, ideally spreading facilities within walking- distance or a short drive of a broad spectrum of residents. Individual parks might specialize in a particular realm of recreational service. "Community parks" are the larger of local parks, typically encompassing at least 15 acres and including a range of recreational facilities: multi-use playing fields and courts, specialized areas/facilities for small children and for senior citizens, picnic areas, space for special events, off-street parking, paths, trails and undesignated open space. No single park need necessarily contain a full range of recreational facilities. The actual number of fields, courts and other recreation facilities included at any one park should reflect a careful analysis of community needs. Facilities for indoor recreation should also be available to the community, but need not be provided directly in conjunction with community park facilities, nor even by local government, if alternatives can be made available (school or community buildings, for example). Individual community parks usually serve a population base larger than that of East Nottingham Township. CCOSRS suggests an idealized minimum park size of 20 acres with a service area radius of 2.5 miles. CCOSRS notes further that as much as half the land area in such a park might comprise undesignated open space available for passive recreational pursuit. In practice, community parks often are smaller in land area and more focused toward active recreational opportunities. "Neighborhood parks" usually are smaller and less complex than community parks. They are specifically intended to provide walking-distance service (roughly one-half mile) in relatively densely populated areas where individual "backyard" recreation opportunities are limited. This generally can be equated to neighborhoods where lot sizes average one-acre or less. Where neighborhood parks prove needed, each ideally should comprise 5-15 acres and include area(s) appropriate for a variety of informal field sports; basketball, volleyball, and/or multi-purpose court(s); jogging and/or exercise trail; tot play area and apparatus; informal picnic and sitting area. Specific development of neighborhood parkland should be tailored to suit the needs and preferences of local residents, taking into account the availability or lack of "backyard" recreational opportunities and/or other convenient private or community recreational facilities. Location of neighborhood parks relative to major roads or other barriers to pedestrian traffic must be considered when assessing the service area radius for any particular neighborhood park. Population-based standards offer a general measure of need for sport field and court areas typically provided at neighborhood or community parks. Standards also can be found for recreation facilities like golf courses, camping areas, and water-based recreation facilities which serve a base population far greater than that of East Nottingham alone. Because the service areas for such facilities are much larger than the immediate community, this plan does not measure the local population against those population- based standards. For numerous recreational activities/facilities, no population based standards are available. These tend to include primarily "passive" recreational use of open space associated, for example, with: hiking, walking, and equestrian trails; bikeways; picnic areas; fishing; and winter recreation activities. Except in more densely populated urban and suburban areas, facilities for swimming are seldom provided at the local governmental level. Nevertheless, opportunities for swimming should be available to local residents; CCOSRS suggests a standard of 0.2 swimming areas per 1,000 population. Swimming areas include not only pools but also swimming beaches at both natural and artificial water bodies. While municipal governments often assume a direct role in recreational programming, it is not unusual that such a role be limited in relatively low-density municipalities. East Nottingham Township does not directly engage in provision for recreational programs at this time. CCOSRS suggests a population of 10,000 as the threshold for municipal employment of a full-time recreation director. East Nottingham is not expected to reach that population threshold within the next twenty years. Nevertheless, the Township may wish to pursue cooperative provision for recreational programming in the broader Oxford area, which overall exceeds that population threshold, through the auspices of other public or private recreation agencies. Even without direct involvement in recreational programming, it is appropriate for East Nottingham Township to monitor recreational demand, to encourage access for local residents to facilities and programs provided by others, and to monitor need for future municipal action. While there are no hard numeric standards for provision of recreational programs, the Township should be confident that all sectors of the community are adequately served by a wide variety of program opportunities. Programs ranging from organized and individual athletics to arts and crafts, social and cultural programs, and special community events should be available to children, youth, adults, senior citizens, and handicapped individuals. It is appropriate to minimize direct municipal programming involvement through coordination and cooperation (formal and informal) with other public agencies and with private and quasi-public agencies, potentially including the Oxford Area School District, local fire companies, churches, social and athletic organizations. East Nottingham residents are, to some extent, served by several regional parks within a one-hour driving radius. These include two Pennsylvania state parks: Marsh Creek (Chester Co.), and Ridley Creek (Delaware Co.). Additional areas which help to fulfill the regional park role as far as East Nottingham Township residents are concerned may include Pennsylvania's Octorara Preserve (recently redesignated the Valley Forge State Forest, District #17), the bi-state White Clay Creek Preserve (Chester Co., Pa. and New Castle Co., De. ), Delaware's adjacent Walter S. Carpenter State Park, along with Delaware's Lum's Pond State Park, and Maryland's Susquehanna and Elk Neck State Parks and Fair Hill Natural Resources Area. These areas offer substantial opportunity for picnicking, hiking, and horseback riding. Marsh Creek, Lum's Pond and Elk Neck provide for swimming, boating, and fishing. Major camping facilities are provided at Lum's Pond, Susquehanna, and Elk Neck, while Marsh Creek and Ridley Creek have youth hostels. Fair Hill, comprising 5,613 acres in Maryland, immediately adjacent to the Chester County line, offers extensive and renowned equestrian facilities - including a 4-mile race track and 3,000- seat grandstand, fairgrounds, nature center, trails and stream access. Residents are known to take advantage of the vast recreational resources of the Chesapeake Bay, which at its closest reaches is only a 15-20 minute drive from East Nottingham Township. Chester County's Nottingham Park lies easily within a fifteen-minute-drive service area radius of East Nottingham Township residents, located in adjacent West Nottingham Township. The park comprises over 600 acres of largely passive open space, including a large area of unique serpentine barrens. Nottingham Park offers an extensive trail system, picnicking facilities and campground. Additional park and recreation facilities in nearby Delaware and Maryland potentially serve subregional park roles for East Nottingham residents, although few, if any, literally fall within a fifteen-minute-drive service area radius. The 110-acre Plumpton Park Zoo in Rising Sun, Maryland, harbors over 300 exotic animals and hosts zoo camps and other special events and programs. The 224-acre Chrome Serpentine Barrens has been purchased by Elk Township as a unique natural preserve, with the assistance of The Nature Conservancy (TNC) and partial grant funding from both Chester County and the Commonwealth. The preserve is managed by TNC under agreement with the Township, offering passive trail use, informal nature study, and limited hunting. There is no true "community park" in East Nottingham Township at present. However, the multi-school campus of the Oxford Area School District, totaling over 100 acres, straddles the municipal boundary between Oxford Borough and East Nottingham Township, and is located within the desirable 2.5-mile service area radius from East Nottingham Township residents. Existing recreational facilities are summarized below. The new (undeveloped) Oxford Area High School site is located within East Nottingham and comprises an additional 66 acres. The Oxford Area School District facilities give first priority for use to school programs and functions. Outside groups may arrange to use school facilities but must reimburse the School District for any costs incurred beyond those normally assumed by the District. In 2002, East Nottingham joined with Oxford Borough and Elk, Upper and Lower Oxford, and West Nottingham Townships to form the Oxford Area Recreation Authority (OARA). The immediate function of OARA is to acquire the Gray tracts, located predominantly in East Nottingham at the southwest corner of Oxford Borough, for future community recreational development. Acquisition of the approximately 70- acre Gray tracts is underway but no formal plans yet exist for recreational development. The ultimate role of OARA as a recreation provider has not yet been formalized, beyond initial community parkland acquisition. The Tipton little league field and Oxford Athletic Association softball fields also are located within East Nottingham. The Oxford Memorial Park, located within the Borough, offers playground equipment, shuffleboard, and other outdoor activities. Small community parks also are located nearby in Upper Oxford and Lower Oxford Townships, West Grove Borough and in Quarryville Borough and Little Britain Township in Lancaster County. Bicknells Pool in East Nottingham is open for summer swimming on the basis of fee membership. Nearby Lincoln University also has a swimming pool, walking trail and baseball field. The Wyncote Golf Club offers public fee access nearby in Lower Oxford Township. Several community recreational facilities in Cecil County (Md.) are located only slightly farther away; these include the Cecil County Community Center near Rising Sun and the County's Elk Mills and Wallace-Carters Mill Parks. Several other school facilities also are reasonably close to East Nottingham Township, including the Rising Sun High School. The Cecil County Board of Education will arrange for organized public use of school facilities. The Southern Chester County YMCA at Jennersville includes a swimming pool. At present, the Wiltshire, Locksley Glen, Twin Ponds and Cooper Farms developments include common open space parcels under the purview of local Homeowners Associations (HOAs). All of these open space parcels are passive in nature and none have been developed so as to provide for any active neighborhood park recreational opportunities. Section 512 of the East Nottingham Township Subdivision & Land Development Ordinance (S/LDO) stipulates that all residential subdivisions and land developments shall be provided with park and recreation land which shall be offered for dedication to the Township. The S/LDO further provides for payment of fees-in-lieu of dedication of recreational lands, at a rate of $150 per dwelling. In the context of fees that might be justified by this Plan, the current fee would appear to be very low. For example, some other municipalities across Southeastern Pennsylvania request fees in the range of $1,000-$3,500 per new dwelling unit. A wide range of recreational programs are available to East Nottingham residents, including special community events, organized sports, arts and crafts, nature activities, and social activities. Due to geographic location and modest local population densities, many locally accessible programs are offered beyond the bounds of East Nottingham Township, itself. East Nottingham Township residents have available opportunities to participate in a variety of youth and adult leagues, including the Oxford Area Little League, Oxford Senior League, Oxford Athletic Association youth (girls) and adult softball leagues, Oxford Golden Bears youth football, Southern Chester County Soccer Association youth soccer leagues, Oxford American Legion baseball as well as American Legion baseball in the Kennett Square area, the Kennett Men's Softball League, and in adult baseball, softball, and soccer leagues in New Castle County, De. Three local YMCAs (Southern Chester County, Elkton, Md. and Newark, De.) are located within about 20-30 minutes of East Nottingham Township residents, offering exercise instruction, aquatic programs (including recreational swimming), adult racquetball, volleyball, and basketball leagues, parent/child programs (Indian Guides/Princesses), and child care and summer camp programs. The Southern Chester County YMCA also has a branch program center in Oxford Borough. Other programs are offered through local churches, 4-H Clubs, Boy and Girl Scouts troops, Garden Club, Lions Club, Elks, Eagles, Rotary, Oxford Redmen, Masonic Lodge and American Legion post. Oxford Mainstreet, Inc. offers the Music on Main Street concert series. Private clubs scattered about the region further augment recreational programming opportunities. The Fair Hill Natural Resources Area offers considerable formal and informal natural interpretive programming, special events, and trail access. The Chrome Serpentine Barrens offers unique natural interpretive values; limited trail access is available, but no formal programming is offered at this time. Programs for senior citizens are offered regionally at the Oxford Area Senior Center, as well as at Lincoln University and in Kennett Square, and Newark, De. Additional programs of interest to senior citizens are found among those offered by area YMCAs. All formal recreation programming serving East Nottingham residents is coordinated by the various private and quasi-public programming agencies. No formal recreational services are provided by the Township. Based on review of available acreage, facilities and service area radii, regional parks in southeastern Pennsylvania do not adequately meet the regional park needs of their service areas. It is in the interest of the Township to support the expansion of regional parks and associated recreational opportunities. The 3,000-acre County park system essentially meets the population-based park acreage standard county-wide and, in terms of proximity, East Nottingham is well served. Population-based standards can be applied to East Nottingham, utilizing the actual 2000 census count, while projecting the resident population in 2010. The U.S. Census counted 5,516 persons in East Nottingham on April 1, 2000. The last comprehensive plan had estimated a 2000 population of only 4,180, yet based on recent building activity, it was clear that a figure in the neighborhood of 5,500 was likely. It may not be reasonable to assume that recent growth rates will continue indefinitely into the future, especially if the Township embraces planning techniques to manage growth more deliberately. However, applying average growth rates over a longer twenty year historical period to the next ten years would yield a 2010 population projection of 7,000 - 7,750. Within this range, the Chester County Planning Commission recently projected a 2010 population of 7,240 for East Nottingham. Applying rounded population figures of 5,500 for 2000 and 7,500 for 2010 results in an estimated need of 45 acres of community and neighborhood parkland in East Nottingham at present, increasing to 62 acres of parkland to accommodate projected population increases to the year 2010. Lands under acquisition by OARA at the Gray tracts can certainly meet acreage needs for community parkland, but also must be considered in view of their service to all of the municipalities in the broader region. While significant passive recreational lands and facilities within the region serve Township residents, East Nottingham is not served by dedicated community recreational facilities, including ballfields and courts, except for limited private facilities, and, to the extent that school facilities are available to the general public. Absent public facilities specifically intended to serve the residents of East Nottingham, it also becomes important to review facility needs in terms of the population of the entire Oxford Area School District, since principal facilities at the schools, indeed, serve the entire district and cannot be perceived as serving East Nottingham exclusively. The U.S. Census counted 20,364 persons collectively in the municipalities comprising the School District in 2000; the Chester County Planning Commission projects that the regional population will reach 24,460 by 2010. Applying population-based standards for recreational facilities to East Nottingham Township (ENT) and to the Oxford Area School District as a whole (OASD) results in standard "needs" for 2000 and 2010 as indicated below. In view of recent population growth that has clearly outstripped prior projections, this analysis should be revisited if high rates of population growth continue, beyond the conservative levels assumed herein. The existing 5 softball and 5 baseball fields, none of which are public per se, on the surface meet the needs of the entire District at present, with a three field deficit by 2010. The 3 existing football/soccer fields, all located at School District facilities, do not even meet the present needs of East Nottingham, let alone the entire District. Based on standard needs assessment, there will be an enormous deficit by 2010. The 5 existing tennis courts, also all located at School District facilities, only meet half of the district-wide need, again assuming their public availability. There are no outdoor basketball or volleyball facilities serving East Nottingham residents at present, although it can be assumed that the three indoor gymnasiums can be made available for these recreational purposes. Again, measured District-wide, that number is still not sufficient. It can be expected that new facilities developed at the new high school will alleviate facility deficits to an extent, yet again, such facilities are designed to meet school needs first and the general public only secondarily. Ultimate recreational development at the Gray tracts could go a long way toward meeting identified needs for community recreational facilities. The Gray tracts are reasonably located from the perspective of community park service to East Nottingham residents, as indicated on the Recreation Plan map. At some 70 acres in size, the Gray tracts can easily accommodate sufficient recreational development to serve immediate community park needs both for East Nottingham and the entire region, so long as augmented by securing community access to active recreational facilities at the several School District properties. In this context, only one large and well-developed community park could meet most local community recreational needs through the year 2010. However, region-wide needs will ultimately outstrip capacity for recreational development at the Gray tracts. Additional community park development will be needed and logically should be developed north or east of Oxford Borough, leaving the Gray tracts as the primary community park facility serving the southwestern portion of the region, and particularly East Nottingham and Oxford Borough. Should appropriate opportunities arise, additional community recreational development designed to serve needs beyond the year 2010 might also be considered at dispersed locations, even within the Township. From a locational standpoint, future neighborhood park development should consider proximity and ease of access from existing concentrations of development, as well as new or likely future development. Existing concentrations of relatively small lots warrant access to modest neighborhood recreational space, particularly in the absence of local community park facilities. When planning for use of recreational field space, fields may be designed for multi-purpose use. However, to facilitate both recreational programming and field maintenance, it is best not to overlap baseball/softball fields with football/soccer fields. Planning for recreational facility development should also consider the potential needs of various subgroups within the overall population, particularly where the population differs widely from the norms upon which most "standards" are based. The population might be divided into three basic groups: school age, the work force, and retired. These correspond generally to the respective age groups: under 18, 18-64, and over 65. The "typical" array of recreational facilities discussed here would reflect a "normal" population makeup, in terms of the proportion of the population within each group. In Chester County as a whole, these three age groups accounted for 24.9, 64.3, and 10.8 percent of the population respectively in 1990. In East Nottingham Township, the youngest population group, at 32.6%, is substantially larger than the County average, indicating the particular importance to recreational planning and programming of consideration of youth programs and children's facilities, as well as the issue of transportation dependence. Pathways or trails only occupy a narrow, linear land area, yet frequently are the primary means of access, both physical and/or visual, to the broad open space landscape. Trails may be geared to one or more types of trail use, including hiking, jogging, running, bicycling, equestrian use and cross-country skiing. Bicycle paths are the most needed recreational facility in southeastern Pennsylvania, according to a recent draft of the State Recreation Plan. Trails may be incorporated into park open space areas or may be independent, extending recreational opportunity beyond specifically designated park or open space areas. They can serve as links connecting various open space, park and recreation areas to each other and to the populace they serve. Trails can be made permanent through public acquisition or through establishment of easements. Ideally, trails will occupy suitable natural corridors such as stream valleys or woodlands, or suitable man- made corridors such as railroad rights-of-way, utility easements and scenic, low-traffic-volume roadways. They should be located where easily managed and monitored, and where impacts to residential properties can be minimized. They should have frequent access points from existing roads, and should be designed to link recreation facilities, residential areas, schools, and other centers of activity. Minimum design standards required for intended trail use type(s) should be accommodated. Multi-use trails must have sufficient width and clearance to accommodate all permitted uses. Ideally, bicycle routes will be separated from equestrian/pedestrian routes. Where feasible, a basic system of bicycle and pedestrian routes is a desirable means to offer safe non- motorized access between residential neighborhoods and recreational facilities, primarily utilizing lands within existing public rights-of-way, augmented by appropriate segments in open space areas obtained through the development process. Within road rights-of-way, pathways could be established parallel to but separate from the vehicular cartway. A key to proper trail usage is a meaningful system of trails with logical beginning and ending points. Short, disconnected trail segments discourage use and inadvertently may offer haven to those bent on misuse. Pocopson Township, for example, has long embarked on a policy of formal trail designation, but keeps trail easements "in escrow" until complete segments can be formally designated. Also critical to proper usage is regular monitoring, ideally by locally based groups who also might promote proper use and contribute to trail maintenance. In a number of communities, locally-based trails associations have been established for these purposes. Where formal provision for recreational trail access is made across private lands, landowner liability has been specifically limited by act of legislature (Act 586 of 1987). Except in cases of "malicious" failure to warn of hazardous conditions, the act releases landowners from liability for injury to person or property occurring when recreational use is permitted without charge. The act also specifically defines and prohibits "recreational trespass," including vandalism, littering, and failure to leave gates, fences, etc. in the same condition as they were found. Nevertheless, provision for proper trail maintenance and security is always important. Over-use of trails can also result in real or perceived problems, ranging from erosion of trail surfaces and habitat damage to loss of privacy for neighbors and deterioration of the recreational experience. Clearly, the more extensive the available network of trails, the less likelihood that individual segments will suffer from over-use. It is important that trail rights-of-way or easements be clearly documented as to any access restrictions, maintenance or management responsibilities, and monitoring rights or obligations. Such issues should be resolved to the satisfaction of the Township prior to approval of any subdivision or land development plan providing for formalized trail access. Linking Landscapes, the Policy Element of the Chester County Comprehensive Plan, recommends that communities throughout Chester County be inter-linked through establishment of Regional Recreation Corridors. The County Plan defines Regional Recreation Corridors as linear areas of land that include points of interest or recreational destinations - like state parks and historic villages - and the trails, paths and bike routes that link such lands. Rather than taking the place of already existing municipal trails, the Regional Recreation Corridors are intended as a means for connecting trails within adjacent municipalities to create multi-trail systems. Trails within Regional Recreation Corridors may be used for recreation or non-motorized transportation, including bicycle commuting, and might also coincide with natural corridors for wildlife movement. Linking Landscapes identifies four Regional Recreation Corridors crossing East Nottingham Township, none of which host developed trails to date. Oxford-Avondale Regional Recreation Corridor extends from the Pennsylvania-Maryland Border in West Nottingham Township, north along the old Octoraro Railway lines now owned by SEPTA, and into Oxford Borough, from there east into Avondale Borough, and from there south down the White Clay Creek to the Pennsylvania-Delaware border. In East Nottingham, it links with the Tweed Corridor southwest of Oxford Borough and, just northeast of Oxford in Lower Oxford Township, links to the Big Elk Corridor. The primary purpose of this Corridor is to provide the communities in Southern Chester County with access to White Clay Creek Preserve State Park and the proposed Octoraro rail-trail in Cecil County, Maryland. Big Elk Creek Regional Recreation Corridor extends from the Maryland border at the Elk-Franklin Township line, up Big Elk Creek to where it forms the eastern boundary of East Nottingham, and from there up the West Branch of Big Elk Creek through the northeast corner of East Nottingham to meet the Oxford-Avondale Regional Trails Corridor just across the line in Lower Oxford Township. The primary purpose of this Corridor is to provide the communities in Southern Chester County with access to the extensive Fair Hill Natural Resources Management Area just across the state line in Maryland. Serpentine Regional Recreation Corridor extends from Octoraro Creek up Black Run into Nottingham County Park, and from there east through a series of serpentine barrens to Big Elk Creek, traversing the southernmost portion of East Nottingham in an east-west direction. The primary purpose of this Corridor is to provide the communities in Southwestern Chester County with access to Nottingham County Park and the various serpentine barrens sites in the region. Tweed Regional Recreation Corridor extends from the Octoraro Creek, at the western edge of Lower Oxford Township, up Tweed Run into East Nottingham, joining the Oxford-Avondale Regional Recreation Corridor just southwest of Oxford Borough and in the vicinity of the Gray tracts. The primary purpose of this Corridor is to provide the communities in Southwestern Chester County with access to Octoraro Creek and the historical Hopewell Village. Countywide, the Chester County Planning Commission and the County Parks Department have designated nine of the Regional Recreation Corridors as Regional Priority Trail Corridors. These Corridors are viewed as having the greatest potential to link large areas of Chester County with trails that extend outside the County. Combined, these nine corridors are viewed as creating the basic foundation for a countywide trail network. Two of them, the Big Elk Corridor and the Serpentine Corridor, traverse East Nottingham Township. In addition, Linking Landscapes notes that all of the four corridors crossing East Nottingham interconnect so as to offer opportunities for trail loops,enhancing their recreational value. Potential trail loops labeled Trail Loop J and Trail Loop K in Linking Landscapes encompass the corridor segments that traverse East Nottingham, with potential trailheads cited at Oxford Borough and Nottingham County Park. As discussed above under inventory, East Nottingham Township residents generally are served by a variety of recreational programs, although scattered widely across the region. Thus, transportation becomes a significant potential limiting factor, particularly for youth and senior citizens who may be transportation dependent. The Township may consider means to encourage program locations within or very near to East Nottingham and to promote development of safe pedestrian and bicycle access. The new High School site and the Gray tracts are well located as future program sites, from the standpoint of serving East Nottingham residents. Other than locational constraints, existing programming agencies appear, collectively, to be offering sufficient recreational opportunities for East Nottingham residents at this time. Most programs are offered based on local demand and, as such, are flexible to meet changing needs over time, to the extent they are not limited by facility constraints. The major limitation to program flexibility would appear to be availability of facilities. Public and private recreation facilities throughout Chester County are heavily utilized at the present time, particularly the schools. Formal establishment of a Township Park and Recreation Committee or Commission could also lead to on-going monitoring of local recreational demand and corresponding opportunities. The Township might seek to point out potential gaps in recreational service to the appropriate agencies. The Township also could assist contact between recreation program agencies, potential users, and those in charge of existing or potentially available facilities, including OARA. OARA also could assume a role in facilitating recreational programs over time. Even with a rapidly growing population, special population groups within the Township are not likely to comprise sufficient numbers to justify provision of highly specialized recreational programming. - Establishing a process, including funding support, for master planning and ultimate development of the new community park at the Gray tracts, based primarily on provision of needed active recreational facilities. To the extent feasible, prospective user groups - particularly organized sports leagues - may be relied upon for funding and development support. For purposes of serving the needs of East Nottingham residents alone, the active and passive recreational facilities outlined below should be incorporated into community park development through the year 2010. In view of regional cooperation to provide for community recreation, additional facility development should be pursued under the auspices of OARA. Establish a fall-back position in the event that OARA fails to take on a full role as provider/administrator of regional recreational services, adjusting the roles of a Township recreation board and Township staff as necessary, as well as reviewing potentially direct Township relationships with recreational user groups, with the School District, and with neighboring municipalities, most particularly Oxford Borough. · Promote the establishment of a safe bicycle and pedestrian circulation system, linking recreational areas, schools and residential neighborhoods, particularly in the more heavily developed northern section of the Township, and into the Borough of Oxford and Lower Oxford Township. Of foremost importance would be a bicycle/pedestrian route or system extending from the Gray tracts to the existing multi-school campus, to the new High School site, and into the most densely developed areas of the Township. Such a system might be established or extended, in part, within new subdivisions or land developments, and augmented using existing public and quasi-public lands (including school district properties) and public rights-of-way, where appropriate. Where safety issues can be adequately addressed, signed routes along public roads, in certain instances, may suffice, at least for the near term. 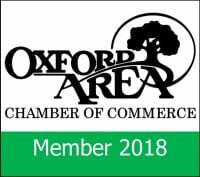 Cooperation and coordination with the Borough of Oxford and the Oxford Area School District is particularly critical in regard to development of a comprehensive bicycle and pedestrian circulation system. Generalized locations for development of a primary bicycle and pedestrian circulation system is suggested on the Recreation Plan map. Included is a north-south link to the Maryland border, where wider roadways with adequate shoulders already provide for safe and potentially extensive non-motorized travel, linking East Nottingham to Plumpton Park and other destinations in the Rising Sun area of northwestern Cecil County, and even beyond to Northeast and the Chesapeake. Capital planning to implement development of a community park requires full resolution of 1) means of parkland acquisition, 2) decisions regarding scope of facilities to be developed, and 3) determination of means and timing of development. Pending resolution of those issues and other potential open space and recreation capital expenditures, a formal five-year capital development plan cannot be developed. Open space/parkland acquisition grant(s) may be awarded from Chester County for up to 50% of total acquisition costs, up to $250,000 for a single municipality and substantially more for a multi-municipal project. Chester County permits grant recipients to match County funds with other grant monies received, requiring a minimum 10% local funding commitment. 50% park facility development grants (up to $200,000 each) may be utilized, as well as "small facilities" grants for up to $15,000 each and with nominal Township match required. Separate grant funding is available for acquisition and/or development of greenways and trails. These County grant monies may not be applied to planning/engineering costs. Grant funding also is available from the state, under the Keystone Recreation, Park & Conservation Fund, administered by the Pennsylvania Department of Conservation & Natural Resources (DCNR). The chief program drawing from this fund has been termed the Keystone Community Grant Program, making funds available for parkland acquisition, development, and rehabilitation and for technical planning assistance for open space and recreation projects. Municipalities may apply for up to two specific grants during any annual funding cycle. Grant funding is limited to a 50% match; there is no formal cap, but authorized funds are limited. 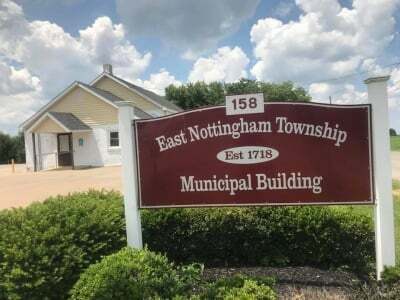 A special component for which East Nottingham Township would be eligible is termed "Small Communities/Small Projects," providing 100% funding of up to $20,000 for material costs and design fees associated with recreational facility development. Additional Keystone funds are available for planning, acquisition and development of "rails-to-trails" projects, rivers conservation planning and implementation projects, for certain historic preservation efforts, and to land trust/conservation organizations for acquisition and planning of open space and natural areas. East Nottingham and Oxford Borough successfully applied for acquisition funds from Chester County in 2000, receiving a $500,000 allocation to purchase parkland that would serve the six-municipality region comprising the school district. Earlier that year, Oxford Borough was awarded $250,000 from the Commonwealth for the same purpose. These funds, together with the requisite local matching share, made up from contributions from each of the six municipalities in the Oxford region, are being used to purchase approximately 70 acres of the Gray tracts for community park purposes. Gross capital costs to the Township may be minimized by taking advantage of alternatives to fee acquisition at market rate, voluntary efforts, donations, etc. Nevertheless, the Township role in park acquisition and development will require funding commitment as well. Township funding sources may include general funds, dedicated millage, transfer tax monies, short term loans, bonded indebtedness, or funds assessed new residential development as fees-in-lieu of open space dedication. Pending resolution of actual funding needs, a combination of approaches should be considered. Ultimate development of community and neighborhood recreational facilities in East Nottingham Township could take several years. Administration and management of community park operations at the Gray tracts is expected to fall under the ultimate purview of OARA, supported by funding contributions and direct operational assistance from the benefiting user groups. While future neighborhood parks could remain the purview of local Homeowners Associations (HOAs), where such parks are located so as to logically serve the public beyond the immediate development, the Township should consider their operation, either directly or via agreement with OARA. Annual operational and maintenance costs will vary pending actual recreational facility development. The Township should ultimately be prepared to allocate at least modest annual funding for recreational operations. General maintenance at facilities under direct Township operation could fall within the work program of the Township road crew. Mowing could be scheduled by contract along with roadside mowing programs. Any major park maintenance or development program would be undertaken by contract. Presumably all operations undertaken by OARA will be arranged via private contract or agreement for service by local municipal and/or school district staff. Ultimately, it may be appropriate for the role of OARA to extend into direct recreational operations. It is not anticipated that East Nottingham Township will ever play a major role as a recreation program agency. Once developed, use of community park facilities will be programmed through OARA. It is anticipated that most detailed programming will be handled directly by permitted park users groups. It is possible that limited maintenance responsibilities, particularly maintenance of sport fields, might also be shared by user groups, in accordance with stipulated use agreements. The Municipalities Planning Code (MPC) specifically provides for mandatory dedication of lands or fees. MPC provisions now require formal adoption of a recreation plan as a prerequisite to implementation of mandatory dedication provisions. This Plan will serve that purpose. It is important to note that dedication of recreational lands or fees-in-lieu does not supplant an applicant's obligation to provide general open space areas or trail rights-of-way. Both lands and fees obtained through required dedication must be used to provide park or recreation facilities accessible to future residents of the development from which they were obtained. Lands dedicated from the same tract under application for development approval obviously will serve future residents so long as such lands are appropriate and accessible for recreational purposes. Any funds used for community-wide park acquisition and recreational development arguably will serve all of East Nottingham Township, including residents of any new development. Thus, in any new development where the Township and applicant agree that a fee will be paid in lieu of setting aside recreational lands, the contributed funds might be earmarked for development of any of the facilities recommended by this Plan. Fees collected must be earmarked for specific recreational facilities and deposited into interest-bearing account(s) to be expended only for those facilities for which the fees specifically were collected. If the Township does not utilize collected fees as specified within three years of collection, the developer who paid the fee may request refund plus interest accrued. This provision demands that fees collected be carefully and intentionally earmarked in step with ongoing park acquisition and development plans. By the same token, it is likely that some applicants will forego opportunities to claim refunds, whether in the interest of public relations or due to the manner in which they treat the fees paid for tax purposes. Any fee-in-lieu program should be carefully reviewed by the Township Solicitor. At $150 per dwelling unit, current fees-in-lieu of dedication of recreational lands are very low. The recreational land dedication requirement of 0.02 acres per unit also is quite low. It is reasonable to base a per-unit fee on a fair proportion of the total estimated cost of all facilities needed to serve East Nottingham residents by the Year 2010. While the total cost would include the value of existing facilities, the proportion attributed by fee to each new home would be based on projected development to 2010 only, as further described below. To the extent that any developer dedicated appropriate lands or facilities, any fee should be correspondingly reduced. However, land dedication alone is very unlikely to ever meet the full realm of recreational need for the subject application and, therefore, some fee is nearly always justified. For the foreseeable planning horizon, fees obtained through the development process should be earmarked toward development of community recreational facilities at the Gray tracts, or for acquisition and/or development of any other neighborhood or community recreational facilities. Neighborhood parkland tagged for funding must be within a reasonable service area radius of the development contributing the funds, i.e., one-half to one mile. Any funds obtained through fee-in-lieu also may be used to match potential State and/or County grant funds for acquisition or development. Funds obtained through fee-in-lieu may be applied to development of any of the basic community or neighborhood park facilities described herein, or to alternative recreational development (at the discretion of the Supervisors) where such preference has been indicated by Township residents and/or the Applicant dedicating the fees. - greater than 100 units - request 5-10 acres of neighborhood parkland, plus development of appropriate recreational facilities by the Applicant, or an equivalent fee-in-lieu. Where 15 or more acres would be required by the per-unit formula, and where lands are appropriate for meeting community park needs remaining at the time of application, the Supervisors might request dedication of land only. Every case must be evaluated carefully. Final decision as to how recreational dedication requirements are met must rest with the Supervisors. In cases where open space is being designated through cluster planning, it may be configured so as to augment the recreational value of lands/facilities otherwise requested for dedication. Lands requested to be dedicated for park purposes under the subdivision ordinance should not count toward minimum open space required under cluster provisions (and vice versa). While it would be anticipated that the development of recreational facilities in accordance with the recommendations of this Plan would occur over a number of years, and that cost savings may accrue through regional coordination, the total estimated cost/value of all facilities needed to serve East Nottingham residents by the Year 2010 is a reasonable basis upon which to set an appropriate fee to be levied against new homes built through 2010. Since existing residents already have paid a share in recreational development, a fee-in-lieu also is reasonable from the perspective of removing some of the financial burden of recreational development from the general tax base. At the same time, since new facilities will serve both new and existing residents, the proportional cost to new residents should reasonably equate to the percentage of the population which they represent. The cost of recommended community and neighborhood park development (regardless of how ultimately funded), might be estimated at approximately $1,716,000, including community park development as described above, as well as three neighborhood parks. The value of existing recreational commitments might reasonably be estimated as $440,000, including the Township's share in acquisition costs for the Gray tract as well as estimated value (based on replacement cost) for school district facilities currently serving community recreational needs (value pro-rated to reflect service to all six municipalities in the school district). Based on Chester County Planning Commission projections, new residents (2000-2010) will represent 24% of all East Nottingham residents in 2010. If $2,156,000 in total recreational cost/value is attributed to new residents, pro-rated at 24%, then $517,440 could be applied to the approximately 500 new homes likely to be built by 2010, justifying a fee in the neighborhood of $1,000 per new dwelling unit. No trail development costs have been included in this calculation. Further, if population growth justifies further facility development than anticipated herein, both cost estimates and per-unit fees should be adjusted.